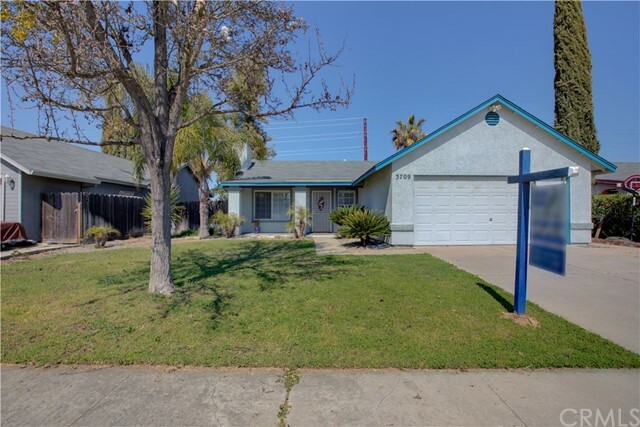 All Ceres homes currently listed for sale in Ceres as of 04/26/2019 are shown below. You can change the search criteria at any time by pressing the 'Change Search' button below. If you have any questions or you would like more information about any Ceres homes for sale or other Ceres real estate, please contact us and one of our knowledgeable Ceres REALTORS® would be pleased to assist you. "Welcome to 3709 Brando Drive! This is a lovely 3 bedroom, 2 bathroom home with over 1100 square feet of living space. The open concept living area feels open and spacious with its vaulted ceilings. The kitchen has space for a dining table and also has a large window over the sink. There is a sliding glass door in the kitchen which leads out to the covered patio in the backyard. This backyard is great for kids and pets to run around in, as well as the opportunity to garden with decorative landscaping already in place. Come see this great home in Ceres, it could be the perfect home for you!"